Meghan Markle's family drama continues, but she has gained a good friend in her sister-in-law, Kate Middleton. Just recently, the Duchess of Sussex's dad confessed in his interview with Daily Mail that he used to take drugs and drink heavily two decades ago. However, he has apparently stopped his bad habits. "I hardly drink at all, just a little wine with my dinner, nothing much. I don't do drugs now, haven't for more than 20 years," Thomas Markle Sr. said (via Express). "I've been seen carrying a six-pack of beer and they say I've a drinking problem," Thomas continued. "I regularly buy a six-pack for the guys on the guard gate because they're stuck in a hot shack for hours each day and could use a cold one. I don't drink beer at all." [post_ads]An insider revealed that Markle's dad took drugs to cope with the pressures of Hollywood as a lighting director. However, many were still shocked by Thomas' confession. In the same interview, Thomas took credit for Markle's success. According to him, he helped raise the Duchess of Sussex to where she is now. "I refuse to stay quiet," Thomas said. "What riles me is Meghan's sense of superiority. She'd be nothing without me. I made her the Duchess she is today. Everything that Meghan is, I made her. [...] She became the woman that she is today thanks to everything I did for her. And did I get any recognition for it? Any thanks? She doesn't even speak to me now. How cold is that?" Amid Markle's family drama, her sister-in-law, Middleton, has always been there for her. In fact, it was reported earlier that she has gone out of her way to help Prince Harry's wife. Rachel Russell, a journalist for Daily Express, claimed Markle found an ally in Middleton. The two duchesses reportedly regularly talk on the phone. They also apparently try to see each other once a week. Sometimes, Markle would sometimes go with Prince Harry and during other times, on her own. 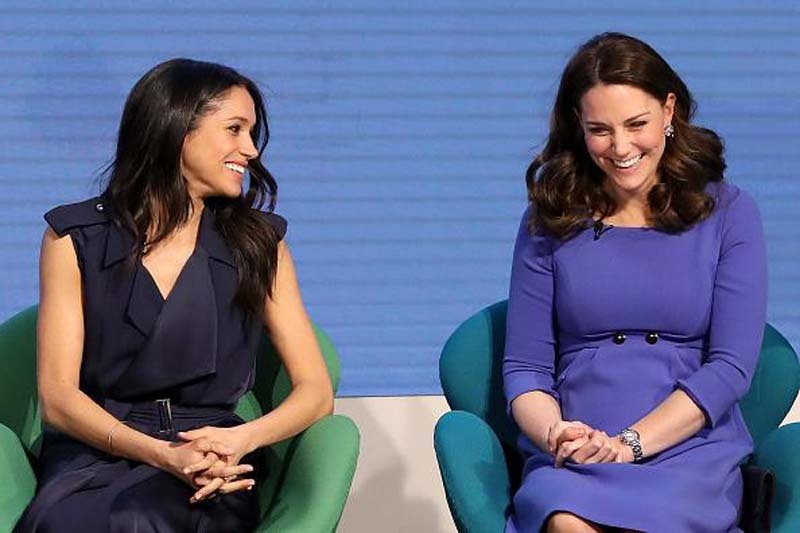 "Kate's really busy juggling three kids; she has a lot on her plate and she has her own friendship group, but she has made an effort with Meghan," a source said. "She's been very sympathetic to what’s been going on with Meghan and her dad."